Norman Roy Jenkins, 83, went to be with our Lord due to kidney failure on Friday, January 25, 2019 with his beloved wife of 51 years Shirley and family at his side. Services will be held at noon on Saturday, February 9th at St. Nicholas Catholic Church in North Pole, Alaska, to be officiated by Father Jonathan Dellinger. A reception for family and friends will follow immediately at the church. Norm was born on June 1, 1935 in Chicago, Illinois weighing only 2 ½ pounds to Thomas R. Jenkins and Florence G. Allen Jenkins. He was one of 10 children. He was drafted into the U. S. Army in 1953. Norm and Shirley were married in August 1967 in Savannah Georgia. With that marriage came three children (Virginia) Nan, Debbie, and John. Norm and his newly acquired family were moved to Anchorage in January 1968 where he was stationed at Fort Richardson Army Post. They were moved back to Alabama in May of 1970 and then stationed in Alaska again in May 1972 where they made their home on Fort Wainwright and stayed in Fairbanks ever since. After Norm left his military career he continued to work on Fort Wainwright in several positions as a Civil Servant. He finally retired from Fort Wainwright in 1995. And the past 12 years Norm and Shirley spent the month of February in Hawaii. That was their way to be considered “snowbirds”. He endured many battles in his life. He was a disabled veteran from the U. S. Army. He served in the Korean War from 1953-1955 and also served in the Vietnam war from 1963-1964. As a child he was a survivor of polio, which re-appeared in his later years as post-polio syndrome causing him difficulty to walk without walking aids. He didn’t let that stop him. 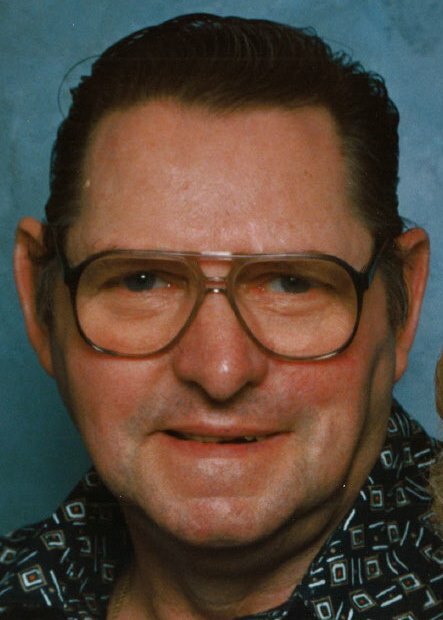 For 40 years he could be found during the summer months selling 50/50 tickets at the Alaska Goldpanner baseball games or assisting his partner in life Shirley selling souvenirs in the Panner booster booth. They housed 67 Goldpanner players in their home, some years there were 4 ball players staying with them during the baseball season. In the winter months the two of them ran the booster booth for the Alaska Goldking hockey team. They were also an avid supporter of the Fairbanks Ice Dogs, and for many years they also housed numerous Fairbanks Junior Ice Dog players during their playing season. They served on both the Alaska Goldpanner Baseball and the Goldking board of directors. In their younger years Norm and Shirley could be found at the bowling alley on various bowling leagues or at the softball field where Shirley would play on a team while Norm did the coaching. He enjoyed the Fairbanks community and all that it offered. From reading this you may already realize that the two of them did many things together and if one was alone they would be asked where the other is. Norm was a husband, brother, father, uncle, grandfather of five, great-grandfather of four, and a friend to many. He will be dearly missed but remembered forever by those who knew him. He is survived by his wife, Shirley Jenkins of Fairbanks, his sisters Darlene Hunter and Barbara Resinger of Pennsylvania, brother-in-law Hank Groover of South Carolina, daughter Virginia Nan Farmier of Fairbanks, his grandchildren; Chris Farmier of North Pole, Jon Misewicz of Anchorage, Matthew Misewicz of Fairbanks, and Victoria Alliji and Amaris Alliji of South Florida. His great grandchildren include Andrew Farmier, Sadie Farmier, Jayden Misewicz, Annalease Misewicz, and Merriweather Misewicz. Also many nieces and nephews sprinkled all around the lower 48. He is preceded in death by son John R Edge, daughter Debbie Sue (Dickerson) Alliji, brother Richard Jenkins, and sisters Eleanor Highway, Norma Dole, Juanita Sonier, Beatrice Todd, Betty Walker & Pat Partridge. The family request in lieu of flowers that memorial contributions be made to: St Jude Children’s Research Hospital and Disabled American Veterans, 540 4th Ave, #100, Fairbanks, AK 99701. The family would like to thank everyone from Fairbanks Hospice for their kindness and support, especially nurse Sarah and Doctors Starks and Bartling. Condolences can be sent to the family at P.O. Box 58075, Fairbanks, AK 99711. Arrangements have been entrusted to Blanchard Family Funeral Home.